I just watched 8 Videos depicting the events of the 2004 Asian Tsunami from the video cameras of people who were actually there, on the ground experiencing it as it happened, some of them even losing loved ones in the disaster. The experiences of each of these individuals so affected me that I thought it necessary to share these videos with as many people as possible! There were times as I was watching the events unfold it became surreal especially when I realized, “Hey, this isn’t a movie...” this is real… in all likelihood you probably just watched someone die! I guess sometimes it’s good to be reminded of our own mortality, in order to jolt us into realizing that every day we’re given life, it’s a gift and what we do with it that day has significance and relevance and should count toward making this world a better place for us all to live in! As you watch, may you be endued with a renewed sense of value and purpose to your own life! The 2004 Indian Ocean earthquake was an undersea megathrust earthquake that occurred at 00:58:53 UTC (about 7.59AM EST) on Sunday, 26 December 2004, with an epicenter off the west coast of Sumatra, Indonesia. The quake itself is known by the scientific community as the Sumatra–Andaman earthquake. 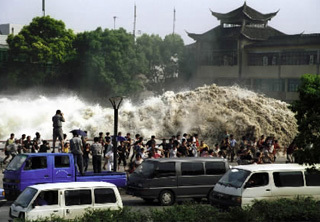 The resulting tsunami was given various names, including the 2004 Indian Ocean tsunami, South Asian tsunami, Indonesian tsunami, and the Boxing Day tsunami. The earthquake was caused when the Indian Plate was subducted by the Burma Plate and triggered a series of devastating tsunamis along the coasts of most landmasses bordering the Indian Ocean, killing over 230,000 people in fourteen countries, and inundating coastal communities with waves up to 30 meters (98 ft) high. It was one of the deadliest natural disasters in recorded history. Indonesia was the hardest-hit country, followed by Sri Lanka, India, and Thailand. 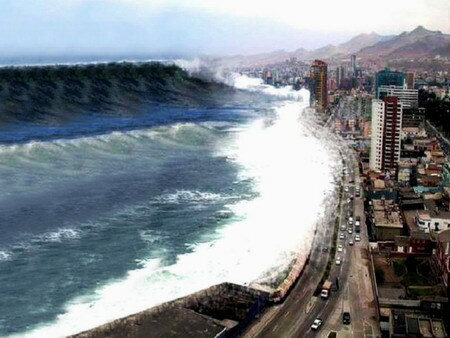 With a magnitude of 9.1–9.3, it is the third largest earthquake ever recorded on a seismograph. The earthquake had the longest duration of faulting ever observed, between 8.3 and 10 minutes. It caused the entire planet to vibrate as much as 1 centimeter (0.4 inches) and triggered other earthquakes as far away as Alaska. The plight of the affected people and countries prompted a worldwide humanitarian response. In all, the worldwide community donated more than $14 billion (2004 US$) in humanitarian aid. I find myself asking, did I contribute anything to helping these people recover their lives, and I honestly do not remember giving anything financially. I’m thinking, I must have at least prayed as I usually do when things like this occur, but at the same time wondering… was that enough? I am still encouraged to know, however, that we as a global community rose to the occasion and gave $14 Billion dollars to our fellowmen in their time of need. I’m left with the feeling that we really need to do as much as we can to help each other out whenever we can, because you never know when it’s going to be your turn and you need assistance from someone else, maybe even someone you’ve never met! My Pet Peeves – The Question “Are You Busy?? ?